My name is Cindy Oakley. 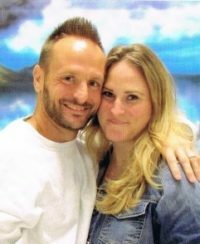 I am a 56-year old white female who first arrived to prison a little over 27 years ago but arrived to CIW just over three years ago. I am a lifer so I don’t have a release/parole date. Since my incarceration began I have been continually shocked by the corruption and unprofessionalism I have witnessed and experienced. I grew up in an environment where police were the good guys. Contact with California judicial and corrections systems are in sharp contrast to my early experiences. I’ve learned of governors and high ranking legislators who get rich off of the private (and not so private) prison industries while they simultaneously make the laws that decide who goes to prison for what and for how long. I’ve learned that researchers KNOW WITH ABSOLUTE CERTANTITY how to increase prison violence and how to reduce it, yet our country continues to rely almost exclusively on those models that guarantee violence. Instead of helping individuals and society, most prison administrators deliberately use systems to destroy the very lives they are payed protect and entrusted to “rehabilitate”. When I contemplate the effects of these systems and their effects on society in general my thoughts almost always go to the showers of Auschwitz during the Nazi control of Europe. Although we aren’t there YET I can clearly see a rapidly approaching, freedom-destroying totalitarian regime hell-bent on taking away the very freedoms that many other freedom people raised in this country take for granted (e.g., marginalized people can speak out and be heard rather than slaughtered by the controlling ‘government’ as occurs in many other countries). I look forward to being being able to share my experiences and observations with people in the free world who might be willing to hear more of ‘the rest of the story’ than the standard media wants to present.